Exhibition space & art gallery The Art Space operates within Singapore’s Suntec City shopping centre, at 3 Temasek Boulevard. 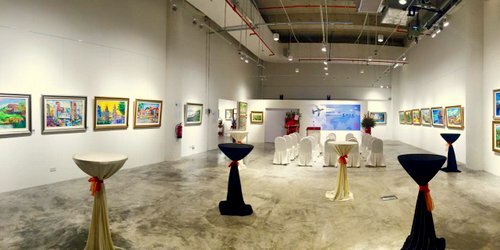 Featuring a total of 3,800 sq ft of space, The Art Space is a gallery dedicated to art-related events & exhibitions. The exhibition space has a great, strategic location within the Central Business District of Singapore, an area that has become a premier venue destination for exhibitions and events in South East Asia. One of the best ways to keep up-to-date on what’s available at The Art Space is to follow the shopping centre’s channels on Facebook and on their website. The official Suntec City Facebook page, at www.facebook.com/SuntecCity/, is especially often updated with details about all of the events & exhibitions available at the mall.